created from start to finish! you created on your own stress free! Your business deserves a brand that makes you look like a total boss and has clients wanting more. I get it, if you have zero to little design knowledge you might have wondering how you can take on the ‘branding your bizz’ task. With so many design blogs and articles you might have a notebook filled with great advice however, taking all that advice and trying to piece it from start to finish might make you feel like you’re going crazy. 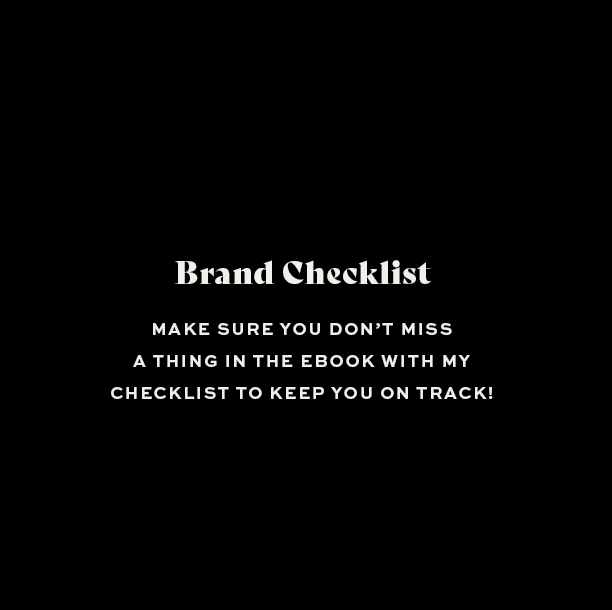 Let me introduce you to the only ebook + workbook you need to build your brand from start to finish without all the noise so you can get down to business…finally! 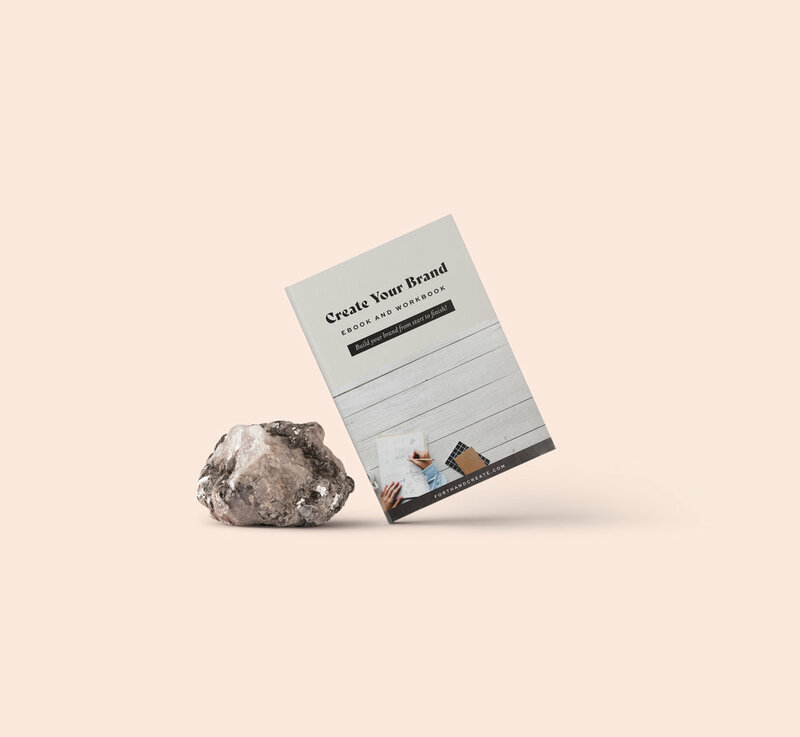 Create Your Brand Ebook and Workbook will give you the right tools and actions to help you build your brand from start to finish. Walking away with a brand you are proud of! Below are the 7 modules you will find in the ebook and workbook. Each module is packed with tips, lessons, and actionable steps to complete your brand from start to finish. There's plenty of room to write and sketch out your genius ideas. By the end of this module, you’ll have a clear understanding of your brand goals, how you will achieve them, your business values and beliefs, your brand’s personality, and you will have a brand manifesto written down. You’ll learn how to create your ideal target market but using a very specific formula. Understanding who your target market is means you will create content that will draw them in and keep them coming back for more. Learn where to find the best inspiration and how to apply it to your brand. By the end of this module, you’ll have figured out what type of design inspires you and what elements and patterns you love. You’ll also have created a moodboard which will set the tone of your brand design. By the end of this module, you’ll have the basic understanding of typography terms including tracking, kerning, leading, and more. You’ll also have decided what fonts you should use for your brand. Typography makes up 90% of design so it’s important you understand the basics! Discover the psychology behind different colours and which ones will work best for your brand. By the end of this module, you’ll have a basic understanding of the emotions certain colours can create. You will also learn the different types of colour schemes and finally, you will have a colour palette for your brand. Step-by-step logo design process, plus tips on how to create a killer logo that works for your brand. By the end of this module, you’ll know my logo design process, you will know what logo designs you like and dislike, and you will have sketches of potential designs and design elements. Once you have completed building your brand it’s a good idea to create a style guide. A style guide is a place where you’ll keep all of your brand elements so it’s easily accessible. By the end of this module, you’ll understand what you should put in your style guide. You will also have completed your own style guide. An introduction page to let you know what you can expect to learn and what you will walk away with. Each module is packed with tips, lessons, and actionable steps in order to complete your brand from start to finish. There's plenty of room to write and sketch out your genius ideas. A "Next Step" page at the end of each module prompting you to take action so you can complete that specific stage in your brand. You aren't sure where to even begin with branding! Most branding courses cost hundreds of dollars! "This was such an incredibly detailed workbook, it covered everything I could've come up with to design my brand/logo. She left no stone unturned. It really gave me many angles to come from and inspired me! Highly recommend!" "We all know effective branding is essential for your business or blog's recognition and growth. 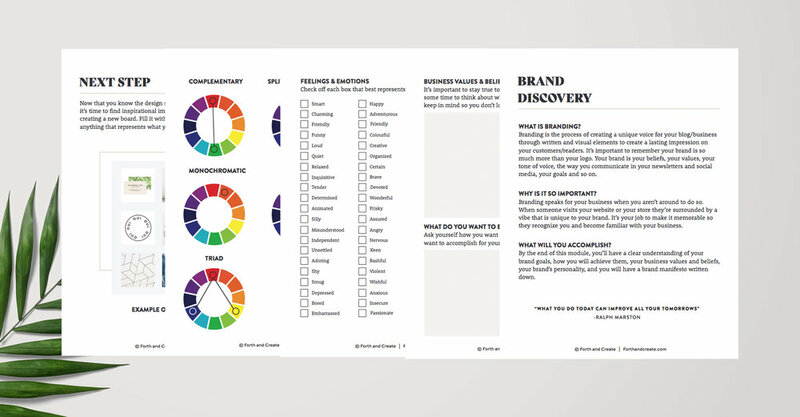 Forth and Create's Create Your Brand workbook is a beneficial guide for brand discovery. The second half of the workbook was personally helpful as I contemplated various logo designs. The workbook's simple but insightful explanations on color theory and typography (who knew serif and sans serif aren't just random font names but terms to understand the appearance of the typeface?! I certainly didn't) was the aid I needed to finalize my blog's logo design. " Moodboard Template for Photoshop. This will come in handy when working through the ebook + workbook. 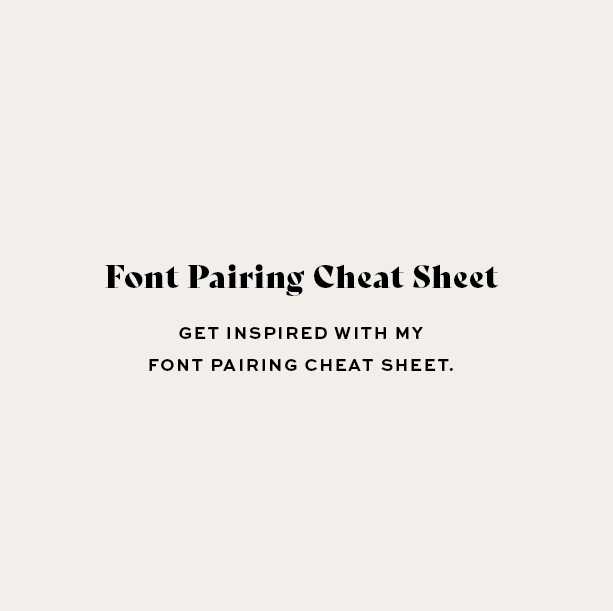 PDF of my favourite font pairings. Get inspired with free fonts. 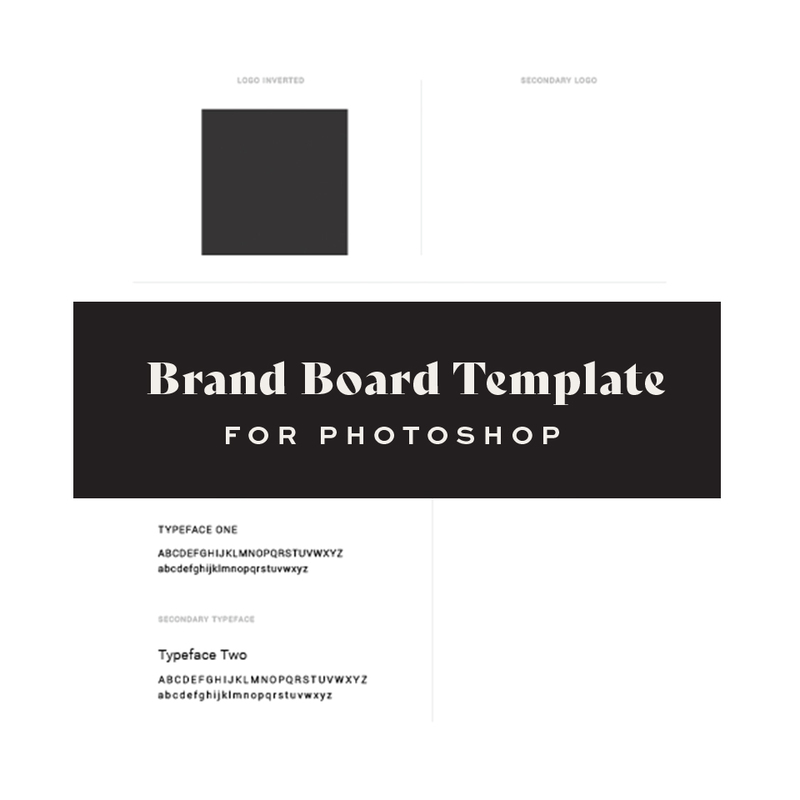 Brand board template to keep your brand in place. Room for your logos, colour palette, font palette, patterns and graphics, and brand inspiration. What will I receive after purchasing? Once payment has gone through you will instantly be able to download the PDF workbook. The bonuses will also be included in your package. Because this is a digital product I cannot offer refunds. If you have any questions before purchasing please feel free to contact me. 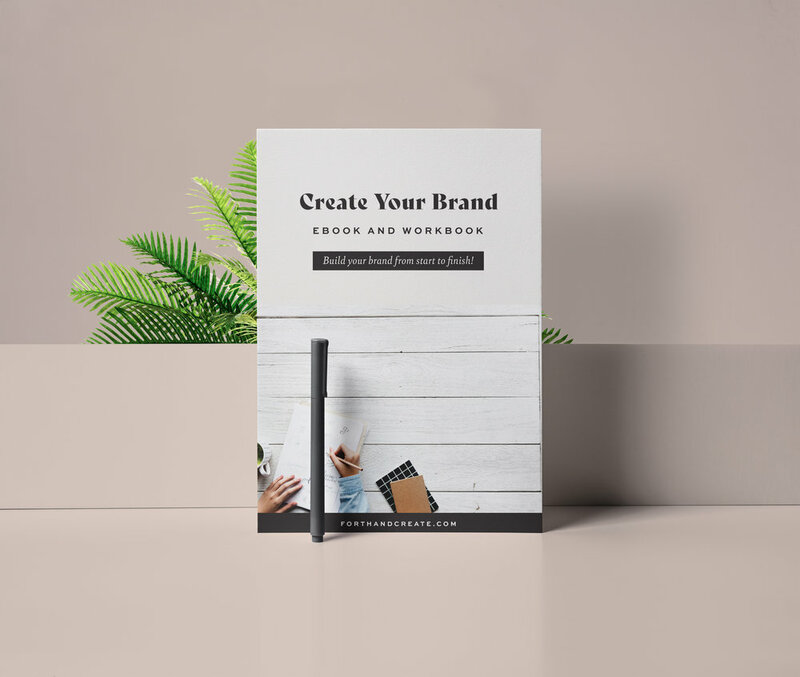 Create Your Brand Ebook and Workbook is for people wanting to build a brand for their business. It's people who aren't familiar with the branding process, who aren't familiar with design, and just need a little help. If you are working with a designer fill out this baby and pass it along to them. Trust me, they will thank you for such a detailed look into your business. What software do I need for the bonuses? The moodboards work in Illustrator CS4+ and the social media templates work in Photoshop CS4+. You can download free 30 day trials of Illustrator and Photoshop over at Adobe.